Cloud computing is "shorthand for centralized computing services that are delivered over the Internet (a.k.a. the 'cloud')." Cloud computing is to traditional computing as electricity is to rubbing two twigs together to make a fire. Ok. That’s a little bit of an exaggeration, but not by much. Years ago, people made a fire in their home or workspace which they continually fed to get warmth, lighting, and cooking; now they get these from centralized utilities that distribute it to them on an as needed basis. It’s a lot more efficient that way! With cloud computing—it’s very similar. Currently, we have our own computing resources (like a hearth and firewood) that we must purchase and regularly maintain to do basic information technology processes for transaction and analytical processing, information sharing and collaboration. Now, we can get these functions from centralized computing facilities or data centers that distribute them, as needed on a subscription or metered basis. This gives us a predictable, stable source of computing at reduced prices, delivered via the Internet, when we want and need it, and without the hassle of having to purchase and maintain the hardware and software infrastructure. It’s a user-centric model! Most of us with very busy and already complex lives inherently understand and are drawn to a model that is convenient and cost-effective. Flip on the switch and voila—lights/heat in one case or email, e-Commerce, and online entertainment in another. To me, if its not a mission-specific or highly sensitive application, the question is why shouldn't it be in the cloud? Even detractors, like Larry Ellison, the CEO of Oracle, has helped fund Saleforce and another major cloud computing vendor, NetSuite. Moreover, “Oracle at the end of January lauched a new version of its online sales-management product…CRM on Demand” —so you see where Mr. Ellison is strategically placing some of his chips. What about the other major application vendors? So what’s holding up the transition? Generally, the biggest cited obstacle to moving to cloud computing is security. Yet, “Salesforce has recorded only one security breach, a phishing attack in November 2007.” Moreover, because of the scope, scale, resources, and expertise that these vendors have, they can actually deploy and maintain a level of security that other organizations may only dream of. Further, according to research firm, Gartner, "of the approximately $64 billion spent on business applications in 2008, about 10% or $6.4 billion, was spent on applications housed remotely and delivered via the Net." The writing is on the wall or should I say in the cloud! There are no CIOs in space. At least not yet. Someday, as we colonize space, there will be. And information technology will be more important then ever as communications, information sharing, collaboration, and new ways of doing things enable people to live and work in distances that are now just the realm of science fiction. As I read about space tourism in MIT Technology Review, January/February 2009, I realized there are already lessons for CIOs from space travel even in its nascent stages. Modernize, as needed—as technologists, some erroneously think that everything has to be swapped out and modernized every few years (for example, many organizations are on na 3 year refresh cycle—whether they need it or not! ), but the Russian space program teaches us differently. They modernize, not on a fixed time, but rather as needed. They work by the principle “if it’s not broken don’t fix it.” Here’s an excerpt: “You can look at the original Soyuz, and the same physical design—same molds, even—appear to have been used throughout its history…But anything that has ever gone wrong or failed, they fix. Or if there is some new technology that comes along that would be of significant benefit, they change it also. Isn’t this a novel principle that we can adapt for sound IT investment management? Functional minimalism--for many organizations and individuals, there is a great desire to have the latest and greatest technology gadgets and tools. Some call these folks technology enthusiasts or cutting-edge. And while, IT is incredibly exciting and some missions really need to be cutting-edge to safeguard lives for example. Many others don’t need to have a closet with one of every software package, hardware gadget, or new tool out there. I’ve seen mid-size organizations that literally have thousands of software products—almost as many as people in the entire company! However, on the Russian Soyuz space vehicle, we see a different way. One space tourist noted: “It’s sort of a functional minimalism.” You don’t need tons of gadgets, just what is operationally necessary. CIO’s, as IT strategists and gatekeepers for sound IT investing, should keep this principle in mind and spend corporate investment dollars wisely, strategically, and with careful selection criteria. We don’t need one of everything, especially when half of the investments are sitting in a closet somewhere collecting organizational dust! Think strategic and global—The CIO and his/her staff gets lot of calls everyday based on operational issues. From simple password resets to the dreaded “the network is down.” When firefighting, it is easy to fall into a purely operational way of thinking. How am I going to get this or that user back up. But getting all consumed by operational issues is counterproductive to long-term planning, strategy, and monumental shifts and leaps in technology and productivity. 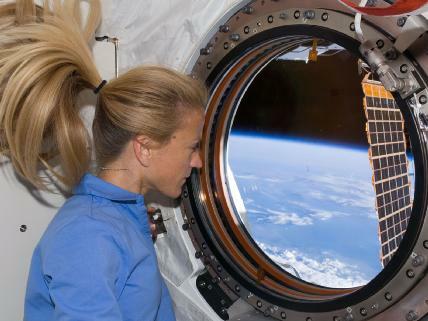 One space tourist looking out the window in space summed it up nicely for CIOs (and others) to get perspective: “You’re out there in space looking back at Earth, and in a way, you’re also looking back at your life, yourself, your accomplishments. Thinking about everything you own, love, or care for, and everything else that happens in the world. Thinking bigger picture. Thinking in a more global fashion.” Maybe every CIO need a picture window view from the Internation Space Station to keep perspective? In general, what kinds of information security issues does an organization face? The overarching information security issue in any organization is one of communication, collaboration and the need for transparency vs. the need to protect information from being compromised. Information security is about more than just "stopping leaks." It is also about making sure that people don't intercept, interject or otherwise manipulate agency information for their own ends. A related issue has to do with protecting the agency's critical IT infrastructure from physical or cyber attack. It's the age-old conflict: If you lock it down completely, then you're protecting it, but you also can't use it. And if you open yourself up altogether, then obviously it won't be long before somebody takes aim. Finally, the largest threat to an organization's information is clearly from insiders, who have the "keys to the kingdom." And so one must pay great attention to not only the qualifications, but also the background, of the employees and contractors entrusted with access to IT systems. Additionally we must institute checks and balances so that each person is accountable and is overseen. How do leaders demonstrate security leadership? Leadership in the area of security is demonstrated in a variety of ways. Obviously the primary method for demonstrating the importance of this function is to formalize it and establish a chief information security officer with the resources and tools at his or her disposal to get the job done. But security leadership also means building an awareness of risk (and countermeasures) into everything we do: education, awareness, planning, designing, developing, testing, scanning and monitoring. When new applications or services are being planned and rolled out, does security have a seat at the table? I can't imagine any organization these days that doesn't consider security in planning and rolling out new applications or services. The real question is, does the organization have a formal process in place to provide certification and accreditation for IT systems? By law, federal agencies are required to do this. Would you say that information security is generally tightly integrated into organizational culture? I think that a security mindset and culture predominate in professions where security is paramount, such as law enforcement, defense and intelligence, for obvious reasons. But the larger question is, how would other organizations make the transition to a culture of greater information security? And this is actually a really important question in today's age of transparency, social networking, Web 2.0, etc., where so much information is freely flowing in all directions. One approach that I have adopted as a culture-changing mechanism is to treat key initiatives as products to be marketed to a target audience. The IT security professional needs to be a master communicator as well as a technical expert, so that employees not only grudgingly comply with necessary measures, but are actively engaged with, and support, their implementation. At the end of the day, the organization's information security is only as strong as its weakest link. So security has to be as deeply ingrained into the culture and day-to-day operations as possible. Is information security an inhibitor to new initiatives? Information security is one of many requirements that new initiatives must meet. And of course there will always be people who see compliance as an inhibitor. But the reality is that security compliance is an enabler for initiatives to achieve their goals. So the key for IT security professionals is to keep educating and supporting their stakeholders on what they need to do to achieve success and security at the same time. It’s easy to get into a rut and just follow the status quo that we’re used to. People do it all the time. It’s doing what we know. It’s comfortable. It’s less challenging. It feels less risky. It doesn’t “cause waves” with various stakeholders. Don’t we often hear people say, “don’t fix it, if it ain’t broke”? Unfortunately, what many of these die-hard obstructionists fail to acknowledge is that time does not stand still for anyone; “Time marches on.” Change is a fact of life, and you can either embrace it or make a futile attempt to resist. If you embrace it and moreover become a champion of it, you can influence and shape the future—you are not simply a victim of the tide. However, if you resist change, you are standing in front of a freight train that will knock you out and drag you down. You will lose and lose big: Change will happen without you and you will be run over by it. In short, it is more risky to avoid change than to embrace it. to try to foresee events that will impact the organization, its products/services, its processes, its technology, and its people. to identify ways to make the most of changing circumstances—to take advantage of opportunities and to mitigate risks, to fill gaps and to reduce unnecessary redundancies. to develop and articulate a clear vision for the organization (especially in terms of the use of information technology) and to steer the organization (motivate, inspire, and lead) towards that end state. to course correct as events unfold; the CIO is not a fortuneteller with all knowing premonition. Therefore, the CIO must be prepared to adjust course as more information becomes available. Sticking to your guns is not leadership, its arrogance. to integrate people, process, technology, and information; the CIO is not siloed to technology issues. Rather, the CIO must look across the enterprise and develop enterprise solutions that integrate the various lines of business and ensures true information sharing, collaboration, and streamlined integration and efficiency. The CIO is a unifier. to institutionalize structured planning and governance to manage change. It’s not a fly by night or put your finger up to see which way the wind is blowing type of exercise. Change management is an ongoing programmatic function that requires clear process, roles and responsibilities, timelines, and decision framework. to bring in management best practices to frame the change process. Change is not an exact science, but we can sure learn from how others have been and are successful at it and try to emulate best practices, so we are not reinvesting the wheel. Change is a fact of life, even if it is often painful. I’d like to say that maybe it doesn’t have to be, but I think that would be lying, because it would be denying our humanity—fear, resistance, apathy, weariness, physical and mental costs, and other elements that make change difficult. But while the CIO cannot make change pain-free, he can make change more understandable, more managed (and less chaotic), and the results of change more beneficial to the long term future of the organization. Being a CIO is not just about information technology—IT is a service. The real job of a CIO is truly understanding the IT needs of their customers (those who actually carry out the mission of the organization) and leading the IT people to fulfill those needs. In essence, the CIO leads his IT staff to deliver on the mission needs of the organization. So being the CIO is far from being just a technical job; it is very much a people job. To deliver IT then, the CIO must understand how to effectively lead and motivate his people. There is a terrific book on this subject called “What People Want” by Terry Bacon that identifies 7 primary needs of people in work relationships and particularly how an effective leader can fulfill those needs and in so doing build a high performing workforce. You’ll notice that monetary compensation and benefits are not mentioned here, because that’s not what this is about. Yes, we all need to be able to pay our bills at the end of the month, but beyond that we have basic human needs (trust, challenge, self-esteem…) that are fundamental to people being effective on the job through their interactions with others. And indeed, every leader can become a better, more effective leader by understanding these relationship needs and developing their abilities to genuinely help people feel fulfilled on these. For the CIO, I think it is very easy—too much so—to focus on technology. The field is technically intriguing, quickly changing, futuristic, and fundamental to mission. Intentionally or not, the CIO can easily overlook the people that are behind the technical solutions—those that he/she depends on to really tech-enable the organization (it’s not the systems, stupid). CIOs, take care of your hard-working and talented people—develop their trust, provide challenging work, grow their self-esteem, help them to mature their competences, appreciate them, inspire and excite, and show them they are contributing to something important. And you and they will be more than the sum of the parts and deliver IT solutions to the organization that will truly amaze! Per Wall Street Journal, 14-15 February 2008, Stimulus Plan = 1,073 pages. Imagine this...alternative stimulus plan--one sentence: Give everyone a debit card for $2500 that is good for 3 months. Result: spending will be pervasive and immediate, jump-starting the stalled economy. This point is that the enemy of problem-solving is over-complexity. We start with a problem that is so complex almost no one can understand it. For example, the financial market melt-down was tied in large part to dizzyingly constructed financial instruments that confounded and some say manipulated, even the most sophisticated investors. And the answer was developed to respond to the problem. Sure, a complex problem may deserve a multi-faceted and even a thousand page answer. But, perhaps it is time to step out of the trees and look at the forest. Is it time for a little simplicity? Even if the answer is ok, maybe it needs to be communicated simply and straightforwardly--it's got to be user-centric! Obviously, the point is not to over-simplify and miss the mark, but do be direct and to draw a clear relationship between problem and solution. Have we done that? Had interview today with Federal News Radio on the role of the Chief Technology Officer. 1. The CTO is a subject matter expert on technology modernization, transformation and deployment of new technology in the agency. 2. The CTO is responsible to work with the lines of business and IT to ensure that technology is meeting the needs of customers, that enterprise architecture and governance are in place, and that agency is incorporating best practices from all sources into technology operations. 3. The CIO's focus is on the business while that of the CTO is technology. Everything the CTO does is to support the CIO to operationalize his or her decisions and those of the senior leadership team. The CTO also serves as principal advisor to the CIO on IT management best practices, so that these get incorporated into the decision process. 4. 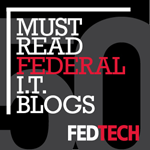 A federal CTO would be a positive development because it will give a more prominent voice to the nation’s technology needs. If there had been more time I would have added that in my view, the most important issue for a federal CTO is to address the need to raise the technology competitiveness of the United States. Technology is our future and we need to be number one. Let’s fantasize for a moment about what it must be like to be an enterprise architect/change agent. Our stereotypical organization, let’s call it ABC Company has a talented group of enterprise architects. They have worked hard, built partnerships, learnt the organization and its needs, and have done a remarkable job working with leadership, subject matter experts, and other stakeholders in identifying an accurate baseline, determining a promising target, and have helped the organization navigate a well thought out transition plan. The organization reaches its target—success—and the process continues. Hooray for the architects. Praise and promotion be upon ABC company’s enterprise architects. Research shows that change agents are often scorned by their organizations and their peers. In immature organizations that do not embrace constructive change, change agents like enterprise architects are often not looked upon favorably. Remember what happened to Socrates more than two millennium ago (and countless others innovators, inventors, and thought leaders since)? Why are change agents treated adversely? What is the impact to companies that treat their change agents this way? Well, which companies did best with change? The lesson is clear: If companies want to grow, mature, and improve performance, then they need leaders who are visionaries and change agents to step up to the plate. Those organizations that recognize this truth will embrace their change agents—encourage, recognize, reward, promote, and retain them. Talented and motivated change agents (like enterprise architects) are an organization’s best hope for innovation, energizing creative potential, and long-term organizational success. Every day as leaders, we are called upon to make decisions—some more important than others—but all having impacts on the organization and its stakeholders. Investments get made for better or worse, employees are redirected this way or that, customer requirements get met or are left unsatisfied, suppliers receive orders while others get cancelled, and stakeholders far and wide have their interests fulfilled or imperiled. Leadership decisions have a domino effect. The decisions we make today will affect the course of events well into the future--especially when we consider a series of decisions over time. Yet leadership decisions span the continuum from being made in a split second to those that are deliberated long and hard. Impulsive leaders jump the gun and make a decision without sufficient information—sometimes possibly correctly, but often risking harm to the organization because they don’t think things through. Withholding leaders delay making decisions, searching for the optimal decision or Holy Grail. While this can be effective to avoid overly risky decisions, the problem is that they end up getting locked into “analysis paralysis”. They never get off the dime; decisions linger and die while the organization is relegated to a status quo—stagnating or even declining in times of changing market conditions. Optimizers rationally gather information, analyze it, vet it, and drive towards a good enough decision; they attempt to do due diligence and make responsible decisions in reasonable time frames that keep the organization on a forward momentum, meeting strategic goals and staying competitive. But even the most rational individuals can falter in the face of an array of data. So it is clear that whichever mode decision makers assume, many decisions are still wrong. In my view, this has to do with the dynamics of the decision-making process. Even if they think they are being rational, in reality leaders too often make decisions for emotional or even unconscious reasons. Even optimizers can fall into this trap. CIOs, who are responsible for substantial IT investment dollars, must understand why this happens and how they can use IT management best practices, structures, and tools to improve the decision-making process. An insightful article that sheds light on unconscious decision-making, “Why Good Leaders Make Bad Decisions,” was published this month in Harvard Business Review. Emotional Tagging—“emotional information attaches itself to the thoughts and experiences stored in our memories. This emotional information tells us whether to pay attention to something or not, and it tells us what sort of action we should be contemplating.” But what happens when emotion gets in the way and inhibits us from seeing things clearly? The authors note some red flags in decision making: the presence of inappropriate self-interest, distorting attachments (bonds that can affect judgment—people, places, or things), and misleading memories. In terms of governance, the CIO certainly comes with a formidable arsenal of IT tools to drive sound decision making. In particular, enterprise architecture provides for structured planning and governance; it is the CIO’s disciplined way to identify a coherent and agreed to business and technical roadmap and a process to keep everyone on track. It is an important way to create order of organizational chaos by using information to guide, shape, and influence sound decision making instead of relying on gut, intuition, politics, and subjective management whim—all of which are easily biased and flawed! In addition to governance, there are technology tools for information sharing and collaboration, knowledge management, business intelligence, and yes, even artificial intelligence. These technologies help to ensure that we have a clear frame of reference for making decisions. We are no longer alone out there making decisions in an empty vacuum, but rather now we can reach out –far and wide to other organizations, leaders, subject matter experts, and stakeholders to get and give information, to analyze, to collaborate and to perhaps take what would otherwise be sporadic and random data points and instead connect the dots leading to a logical decision. To help safeguard the decision process (and no it will never be failsafe), I would suggest greater organizational investments in enterprise architecture planning and governance and in technology investments that make heavily biased decisions largely a thing of the past.